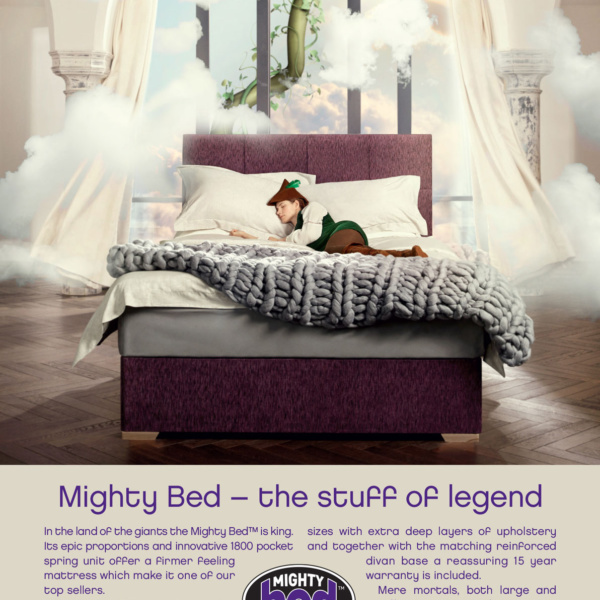 Kaymed is a long established bed manufacturer who wanted to gain a retail presence in the UK, following on from success in Ireland. 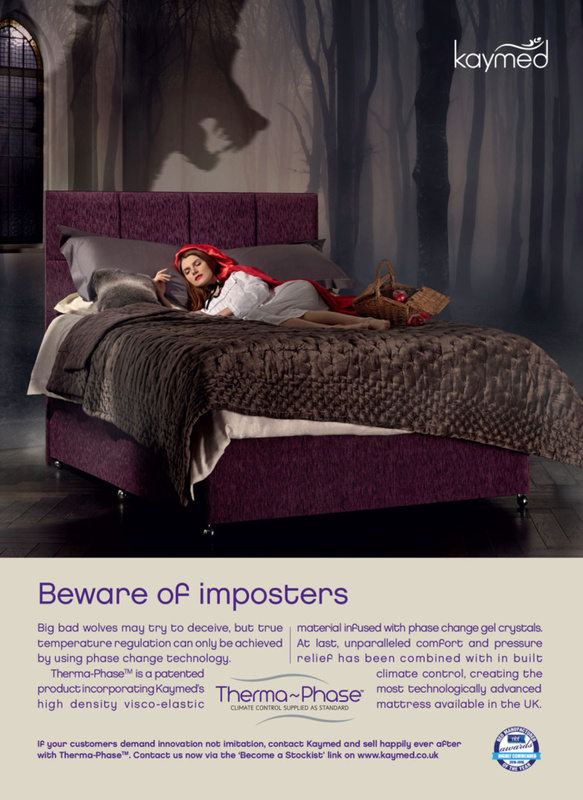 The bed market is highly competitive and there is little differentiation in terms of marketing. 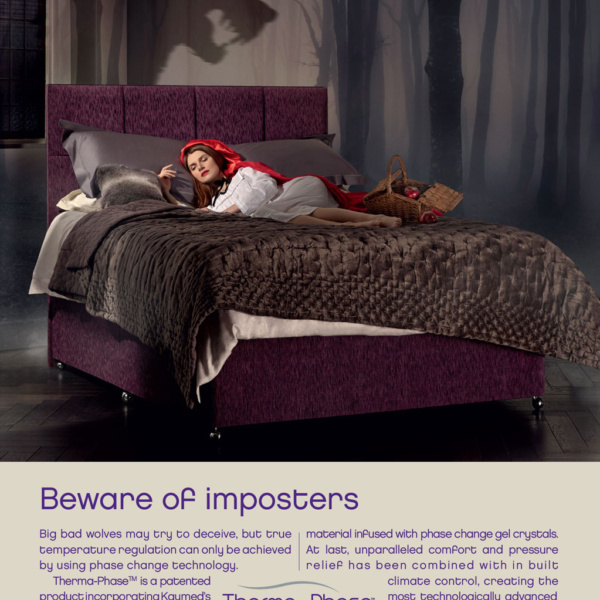 Synergis were asked to develop a campaign to gain trade listings in the competitive bed retail sector. 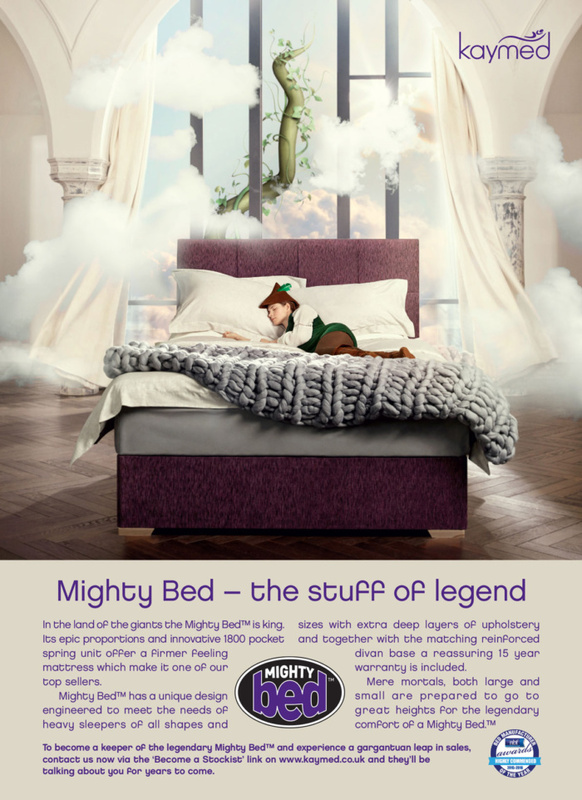 Synergis developed the SleepologyTM concept to gain stand out which researched extremely well amongst our target audience. 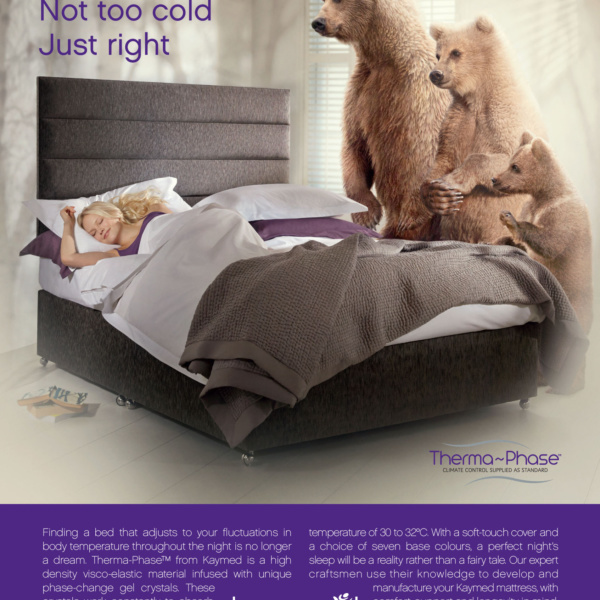 Synergis were tasked with developing a brand presence and marketing campaign to gain support from key retailers and drive consumer awareness of the Therma-Phase mattress range. The key target audience was identified as ABC1 women aged 40-60 and insight showed us that these women often struggled to get a good night’s sleep due to feeling too hot or too cold. 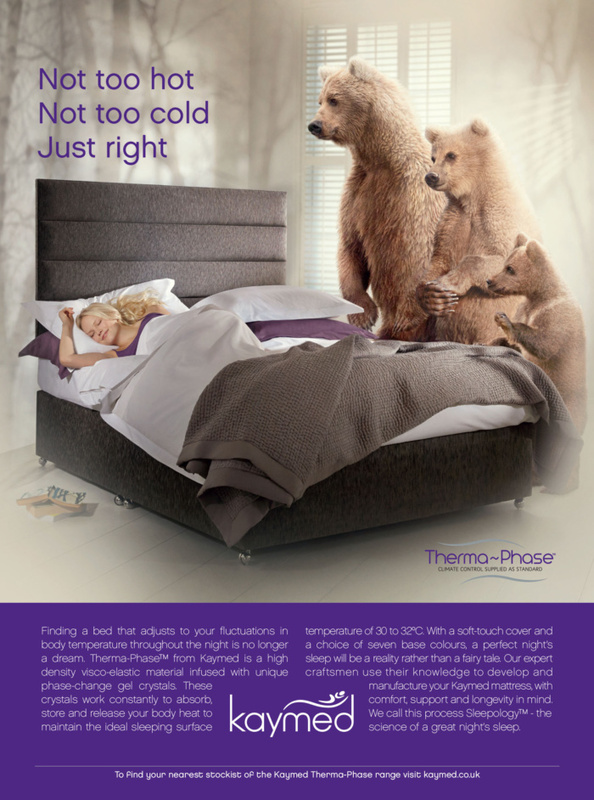 We therefore focussed our campaign on the Therma-Phase mattress USP which has a highly sophisticated design to improve temperature regulation.The SleepologyTM concept was unique to Kaymed and was a holistic approach to a better night’s sleep. This concept was then communicated through a mix of PR, advertising and digital. 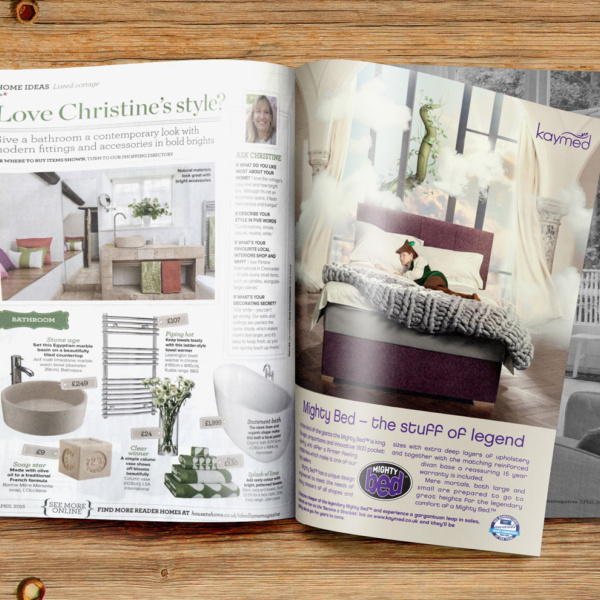 Sales to date have increased by 36% since the campaign launch and the brand is established with key retailers such as Benson’s for Beds, Carpet Right and Furniture Village. 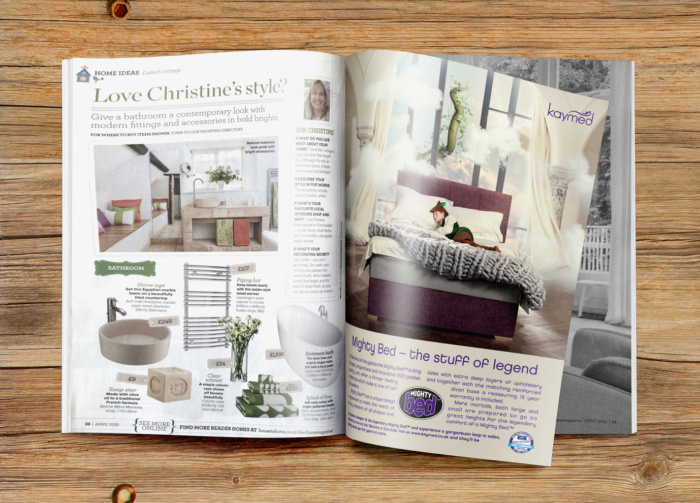 Kaymed were awarded the title of Bed Retailer of the Year in 2017 with the on-going advertising campaign playing a part in the decision.